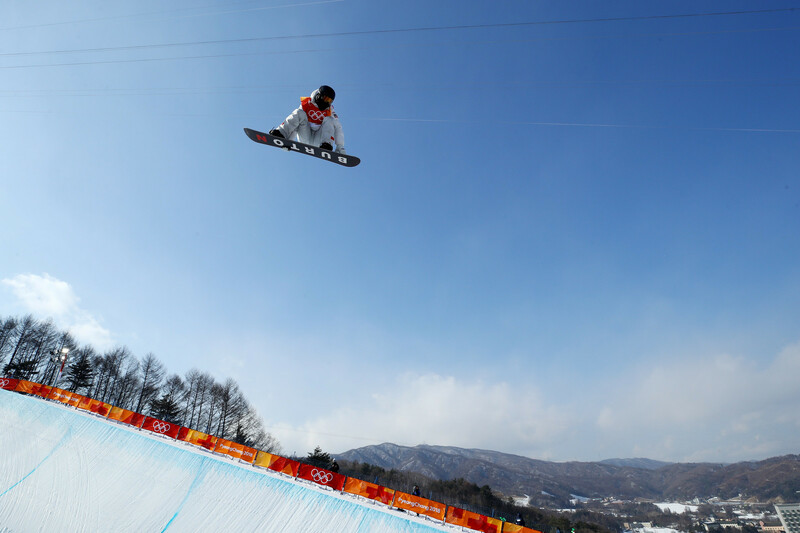 The Winter Olympics currently underway in Pyeong Chang showed Shaun White’s hard-earned gold medal victory yesterday in the men’s half pipe competition. The evolution of talent and skills in the half pipe has reached incredible athletic levels over the last few winter Olympic games. Winning the gold medal for Shaun was no easy task coming out of a severe fall and injury in New Zealand last October, while training in the half pipe, along with competing against several other extremely talented snow boarders from all over the world. Shaun White, who invested in Mammoth Mountain a couple of years ago, trains in a variety of places, but most frequently in Mammoth. The same is true of Chloe Kim, a 17-year old phenom who took home the gold medal for the ladies’ half pipe competition. Chloe has been training in Mammoth for many years as has Kelly Clark, a Mammoth local who has won 7 gold medals in the Olympics and Winter X Games combined. Let’s not forget about the summer Olympic athletes that are also Mammoth localsl: Deena Kastor, Olympic medalist and American Record Holder, and Meb Keflezighi, long distance marathon runner and Olympic medalist. Mammoth Lakes is home to some of the finest athletes in the world and provides an ideal training ground at elevation to get an edge over the competition. This is especially true for endurance sports like running, cycling, etc. The real estate market inventory in all categories continues to remain low. As of today, we have a total of 57 condos, 33 homes and 39 lots on the market. The inventory has remained very limited going back almost one year, since around the time that Mammoth Resorts announced the sale of the Mountain to the newly named owner, Alterra Mountain Company. The demand for attractive condos and homes, even at higher prices, remains somewhat steady, but we are not seeing the multiple offers of last year. It seems that the rush to buy property (at least for now) has slowed. There is definitely interest out there, but a slim selection of condos and homes is maintaining the current inventory counts rather steady. There are a “trickle” of sales and new listings keeping the inventory counts consistently at around the same levels as the weeks pass. This more than likely has something to do with a variety of factors, including record low snowfall so far this season and economic factors as well. In years past, it has always been the case that a good ski season and snow translate into excitement for owning property in Mammoth. It seems that buyers are waiting on the side lines to see what the spring inventory will bring after Canyon and Eagle Lodges close for the winter. Judging from the long-range forecast and existing coverage, that might happen much earlier than previous years. 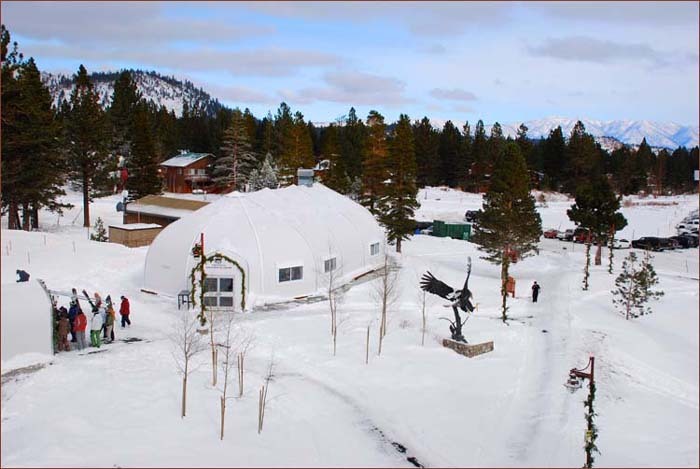 Eagle Lodge is in much need of a proper ski lodge to replace the temporary tent currently occupying the base of Eagle Express chairlift. However, given the size and the astronomical cost of developing out the Eagle Lodge project area, it is unknown as to when the approved plans will break ground. So, for now, the white tents that Mammoth purchased from Vail ski resort years ago, will continue to occupy the base of Eagle Express until further notice. The development of the beginner area by Eagle Express will expand to encompass the existing “Camp High Sierra” recreation area. This is something that has been in the works for a while and is much needed if it is to be considered a true base area ski lodge. Expanding the beginner area at Eagle Express should also alleviate the beginner ski school crowds from the Canyon and Main Lodge areas. Eventually, the Main Lodge area could also use a complete overhaul and remodel to add sophisticated lodging choices, bars, restaurants, etc. A project like this will be a massive undertaking that will cost tens of millions of dollars to complete. There still remains much room for improvement both on and off mountain. Many people who visit Mammoth are asking where are the shopping, restaurant choices and things to do? Clearly, Mammoth continues to be in a transition stage and may at some point “bloom” into its full potential in the coming years. Future extensive improvements by Alterra are on the horizon, but they plan to start with small projects and ease their way into the larger development projects over the next few years. Quite similar to the Palm Desert market, the resort market of Mammoth is seeing appreciation in prices, but this is still a good time to get in and buy before prices REALLY GO UP. History tends to repeat itself. During the Intrawest years in the early 2000s, prices sky rocketed when the former owner of Mammoth Mountain announced extensive development plans for new condo complexes, golf course, Village at Mammoth, etc. The same is bound to happen when Alterra releases concrete development plans in the future. As always, if you have any questions regarding real estate listings in Mammoth or would like to schedule an appointment to view properties in Mammoth, please contact me directly.